It is a big deal in America for families to get together for Thanksgiving. If people don’t have or don’t like their families, they do a “friendsgiving.” Since our hosts in Kosovo had never experienced this, we decided to cook a full Thanksgiving dinner in friendsgiving fashion and tell our holiday story. Typically the dinner is centered around a turkey, but neither Mark nor I like turkey so we decided to go with ham. We searched the markets and stores in Prishtina for a ham, and found a lonely ham at the bottom of a cooler in a grocery store. We brought it back home, to our hostel, all proud until someone saw it and politely said “I don’t eat ham.” Unfortunately, we had completely forgotten that we were in Muslim-majority country, and many people don’t eat pork products. Nonetheless, our hosts were very fun about it. They chalked it up to a cultural exchange and said there’s no better way to understand a people than to devour their food. I couldn’t agree more. So in good faith, Mark woke up early in the day and began dinner preparations. We had originally planned for 7 people as that was about as much as we thought the ham could feed. But because the aroma of the cooking had filled the entire hostel, other people wanted to hang out and eat food with us instead of going out. And I can’t blame them, the food was irresistible. I felt like Jesus feeding the 5,000. Miraculously, we had food for everyone! Hand-mashed potatoes, vegetables, ham, and handmade cinnamon apples. Mark organized it all and it is definitely one of the more memorable Thanksgiving dinners I have had. Everyone pretty much laughed at the story how our forefathers ate “peacefully” with the Native Americans, but the 80c 2L of beer in the center of the table really washed everything down swimmingly. A big shout out to our friends at Hostel Han in Pristina for keeping us entertained for over a month! And if you ever need a home base in Kosovo, we recommend this hostel as the only place to stay in the city center. You will come as a traveler and leave as a friend. This list is for people traveling independently, without a tour group**, as a tour group will file this paperwork on your behalf. In all cases, assume that passports must be valid at least 6 months after your intended stay. China (Mainland, excluding Hong Kong and Macau): Visa required. Visa must be presented upon arrival in China. You must specify your exact entry date and exit date, and do not deviate from this at all. The penalties for overstaying are harsh and you do not want to test them. If you are staying at a hostel / hotel / AirBnb, please ensure you are registered with the police within 24 hours to avoid trouble. Chinese Visa Application Form and the steps for processing are available here. Apply no earlier than 2 months before your departure. The absolute latest you can apply for a visa is 3 weeks. We recommend you go for the 10 year multi-entry visa, as it makes subsequent visits to China much easier. India: Visa required. Application must be sent and visa received before you enter India. Exception: 30 day stay or less, an electronic visa (e-TV visa) can be issued no earlier than 4 days before entry. Japan: No visa for less than 90 days. Be prepared to show an onward / return ticket or proof of funds. If you have neither, Japanese immigration may deny you entry. Mongolia: No visa for less than 90 days. Republic of Korea (South Korea): No visa for less than 90 days. Teach English in Korea (E2) Visa Application. Taiwan: No visa for less than 90 days. Nepal: Visa Required. Visa on arrival available at Kathmandu International Airport. Three available visa options: 15 day, 1 month multi-entry, 3 month multi-entry. Maximum stay of 150 days per calendar year. **Bhutan: Visa Required. You can only travel to Bhutan with a tour operator who applies for tourist clearance on your behalf. Here is the directory of Bhutan tour operators. There is also a Minimum Daily Package, which covers many things but at a rate of $200-$250 per night. Please review the details carefully. This is a small country with a very, very strict set of laws. Bangladesh: Visa Required. Visa on Arrival available for stays less than 30 days. If you think you may stay longer, fill out the official visa application and get approved before you arrive in Bangladesh. Myanmar: Visa Required. Myanmar participates in eVisa. 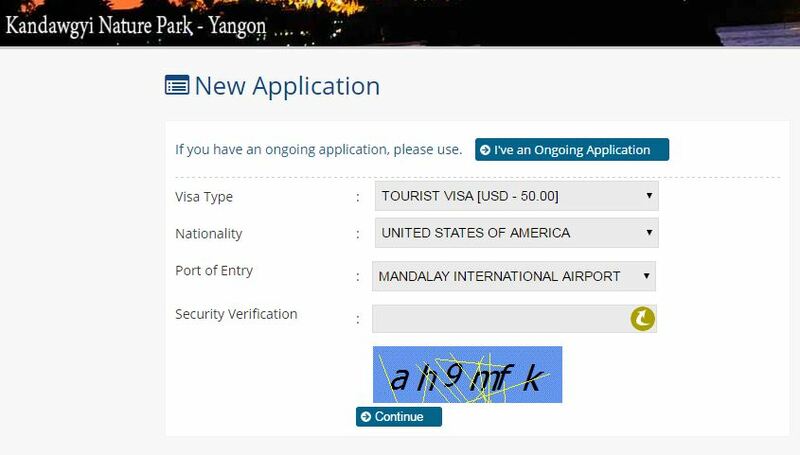 When your visa is granted, you will receive an approval letter, which you must have with you when you arrive in Myanmar. Thailand: No visa for less than 30 days (for air arrival) or 15 days (for land arrival). You MUST make sure your passport is stamped before you leave the passport control, or you will have a hell of a time when you go to leave. If you do not get your passport stamped, there will be no proof of your entry into the country, and you will be subject to fines and arrest. Laos: Visa Required. Visa on Arrival offered at many points of entry for a 30 day stay. Visa can be extended for up to another 60 days for $2 / day. After that, you have to move to a different country. Vietnam: Visa Required. 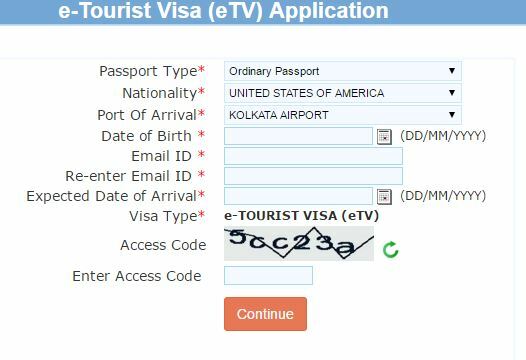 Many countries (UK, Germany, Israel, India, Brazil, et al) are exempt from this requirement (full list available here) but US citizens must have a visa. For instructions regarding the information required on the visa, click here. Philippines: No visa for less than 30 days. If you are already in the Philippines and decide you want to stay longer, you can request a 29 day extension from the Philippine Bureau of Immigration and Deportation’s (BI) main office at Magallanes Drive, Intramuros, Manila. Malaysia: No visa for less than 90 days. Check your stamp before you leave passport control, as some people have been granted less time. Visas can be extended for two months. Indonesia: No visa for less than 30 days. Requirements for an extended tourist visa are available here. Singapore: No visa for less than 90 days. Timor-Leste: Visa Required. Visa on Arrival for 30 days is available for $30. Visa can be extended for 30 days for an additional $30, up to 90 days. We are not posting visa requirements for North Korea considering US citizens have been detained and worse even with proper documents. Americans are unwelcome in bits and pieces of the world, but traveling to North Korea is signing your own death certificate. If you’re having trouble navigating the world of visas and forms, send us a shout! We are more than happy to help out a fellow traveler. Every person we have talked to since returning to America has lamented about how they would quit their job and travel the world, if only they had the money. Let this serve as a guide of the websites that will help you secure lodging and food while overseas. We spent about half of the time working as HelpXers, where we exchanged 3-5 hours of work five days a week for semi-private or private accommodations and three meals a day. HelpX: It’s something like $30 fee for a 2 year membership, and you can apply to as many HelpX’s as you want to! and so much more! None of it really felt like work, as we were learning from everyone we met. We stayed at hostels when we weren’t house sitting, and sometimes at AirBnBs. Speaking of housesitting / petsitting, we watched pets in 3 countries: Ireland, France and Norway. We used both TrustedHousesitters and MindMyHouse. Again, for a small fee, you create a profile, what animals you feel comfortable watching, your experience with animals (from domestic to livestock), and you’re off to the races. We have met people who have stringed together back to back house and pet sits and wound up staying entire months in the Eurozone for less than $500 per month. For some people, that is a car payment. That’s probably more than your mortgage or rent. There are many ride-sharing services in Europe, but the one we heard the most about is Blablacar. You type in the country you are starting in, and an end location, and a date, and you get matched with people who are going that direction! *We talked to over a dozen people who have used Blablacar, and none of them reported any safety incidences. It is like anything else in life – if your ride arrives and you get a sticky feeling, then forfeit the money – no big deal. No amount of money is worth your life. This should get you off to a running start when you’re preparing your overseas adventure! Let us know what else you’d like to get for free (or on the cheap!) while traveling. Salut, Cheers, and Happy Travels! We had a little over two days in Barcelona, but sometimes travel fatigue gets the better of you and you wind up spending a day hanging out in the hostel and doing a whole lot of nothing. On day 1, that’s exactly what we did. Day 2, we ventured out into Barcelona for an afternoon free walking tour and were under the graces of a warm and windy day. Our first stop was the 14th century Placa del Rei, or the King’s Watchtower, where King Ferdinand and his lovely wife Isabella welcomed back Christopher Columbus from his voyage. Considering America wasn’t even a thought yet, it’s surreal to stand in front of a building that’s three times as old as your country. Our next stop was the Barcelona Cathedral, for which construction was began just a few years ago, in 1298. The architecture speaks for itself, and you could spend days taking in each detail. The building is decorated or constructed so every inch floor to steeple commands attention. The next point of interest is even older than the cathedral. We visited the old Roman city walls. Remember, at its height the Roman Empire stretched west into Spain and north nearly into Scotland. Here’s a bit of the Roman ruins, and the fortress, currently used as church space. The bottom arches are what remains of the Placa Nova, entrance into the old Roman City. Note the different layers of brick over time. We turned the corner and arrived at Placa Sant Felip Neri, A Romantic Square with a Sad History. During the Fascist regime, children hid in a bomb shelter under the church. Bombs were dropped over this square, sending shrapnel and explosives across the square and into the church. 42 people were killed. This harrowing event in 1938 is commemorated by a small plaque, but the evidence is unmistakable. After a few moments of silence, we walked on to a picnic area where we learned about the Catalonia movement for independence. (Catalonia is the region in Spain that includes Barcelona.) In every street in Barcelona, you will see flags hanging over balconies and in store fronts and that signifies support for independence from Spain. Long story short, the Catalans have always identified as a group independent from the rest of Spain, and they have been fighting (and losing) independence battles for hundreds of years. Now with the referendum going to Madrid, they have a real chance of breaking off from Spain and becoming the Catalonia they want. There’s a booming sense of patriotism. We ended the evening in front of the Arc de Triomf, found ourselves some lovely Spanish wine, and cozied up to watch the day fade into night.